I am really enjoying this series of novellas from a variety of talented authors. In this one we meet two men who have a mutual background in raising and riding horses, but very different views on their sexuality. As they have to work together to try and restore the fortunes of the Bellingham family and Bellmeade estate. As Destin puts his faith in disgraced rider Tonio to tame his horse Black Sambuca, he also finds he may want to put his own happiness in Tonio's hands too. I loved the horse aspects, and the way the two men deal with the challenge of trusting each other is fascinating. I would happily have read much more about their newfound romance. A bookbinder and librarian by trade, Leigh has also worked on local thoroughbred horse farms. Leigh’s short fiction has been featured twice in the Florida Writers Association annual story collection, and the Royal Palm Literary Award conferred Book of the Year honors on one of her book-length words in 2017. When not immersed in writing, creating, and curating books, Leigh maintains a backyard habitat for native bees and butterflies, with a special emphasis on growing milkweed to help maintain the population of monarch butterflies. Despite being in-town suburban, this habitat also plays host to frogs, opossums, raccoons, and the occasional urban armadillo, not to mention a dazzling array of birds. Leigh lives with one enormous black cat, two noisy parakeets, and her long-suffering mother. You can keep up with her latest writing news and releases on her website. 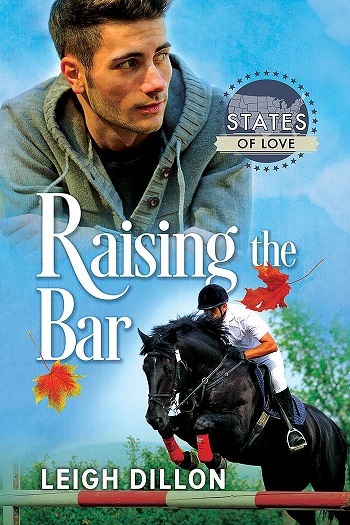 Reviewers on the Wicked Reads Review Team were provided a free copy of Raising the Bar (States of Love) by Leigh Dillon to read and review.